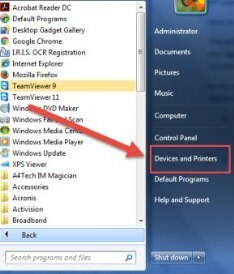 Open “Devices and printers” from start menu. 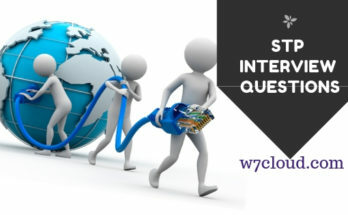 Select the printer for which you want to enable the duplex printing, in our case it is LaserJet p3015, right click on it and open the printer properties. 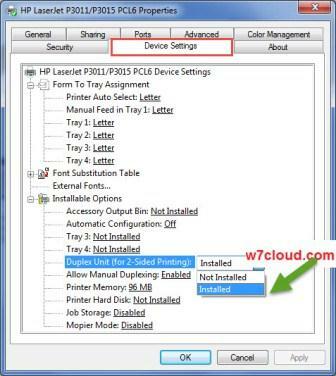 You have successfully enabled the duplex printing for your printer, now you need to select the option for both sides while printing any document. 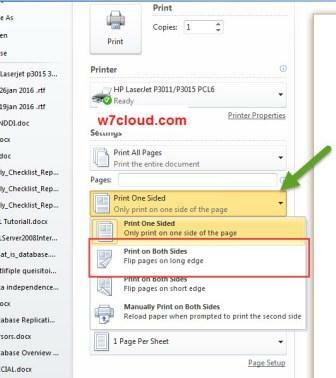 For MS office and PDF document in print preview select the option “Print on both side” and then click on print and your printer will printer the page of documents on both side of paper. 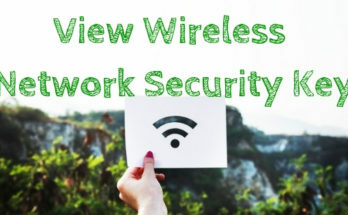 It does not matter the printer tray, you can perform this task from any tray with above settings. 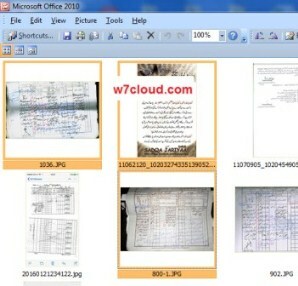 For image or picture, first select the multiple images from office picture manager. Press Ctrl+P and click on options and then on printer properties. 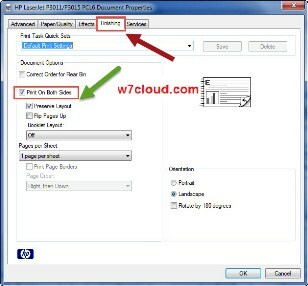 From printing properties go to finishing tab and then select the option printer on both sides of paper. 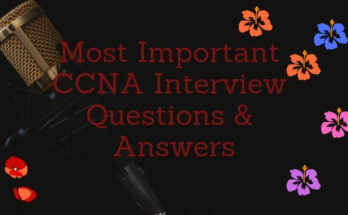 If you still have the issue, please watch the video for more troubleshooting.